Brussels, 1 October 2014 – At a breakfast meeting with the European Ombudsman Emily O’Reilly, EPACA Chairman Karl Isaksson launched the EPACA Charter. 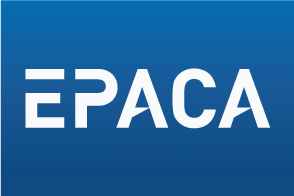 The EPACA Charter represents a gold standard for Brussels public affairs consultancies, engendering highest level of trust of clients and political stakeholders. The Charter builds upon the EPACA pillars of ethics, professionalism and corporate governance and introduces a set of clearly-defined requirements EPACA members must respect in order to accede to Charter status. These include, but are not limited to: being signatories of the Transparency Register of the European Parliament and Commission and including their registration number in their communications materials; adhering to the codes of ethics of the European Parliament and Commission; proactively abiding by any codes of ethics applied by their clients, and paying interns. The EPACA Chairman presented the European Ombudsman with a copy of the Charter signed by foundation participating EPACA members.